1. Wood Lane station looking Eastbound. An impressive metallic and glass design. 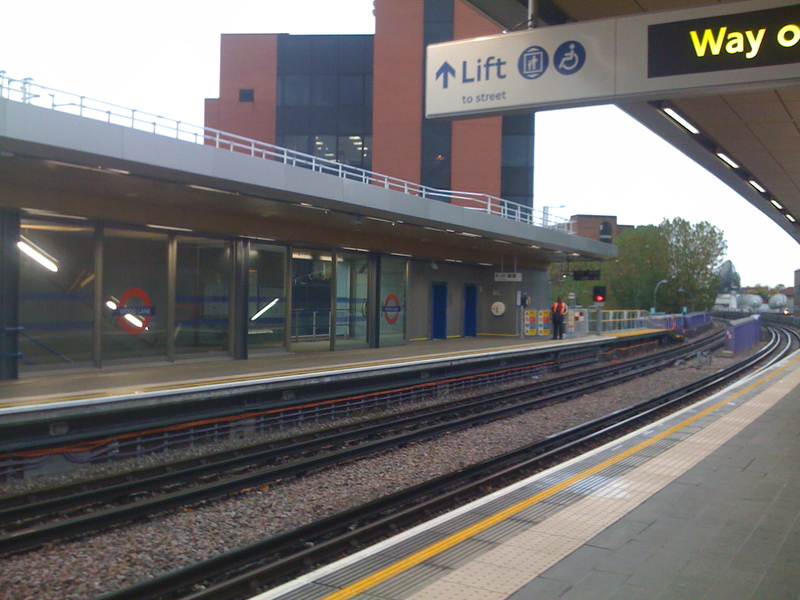 Of course, there is more to this station than just the platforms, but I have the ticket hall and station building to check out…by the time I do, Westfield London will be open by then! 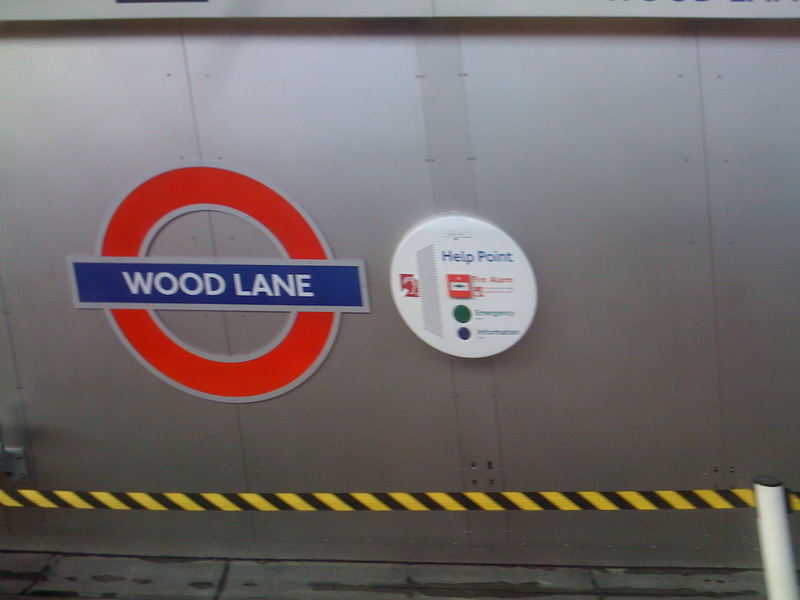 What do you think of Wood Lane station? Let me know! 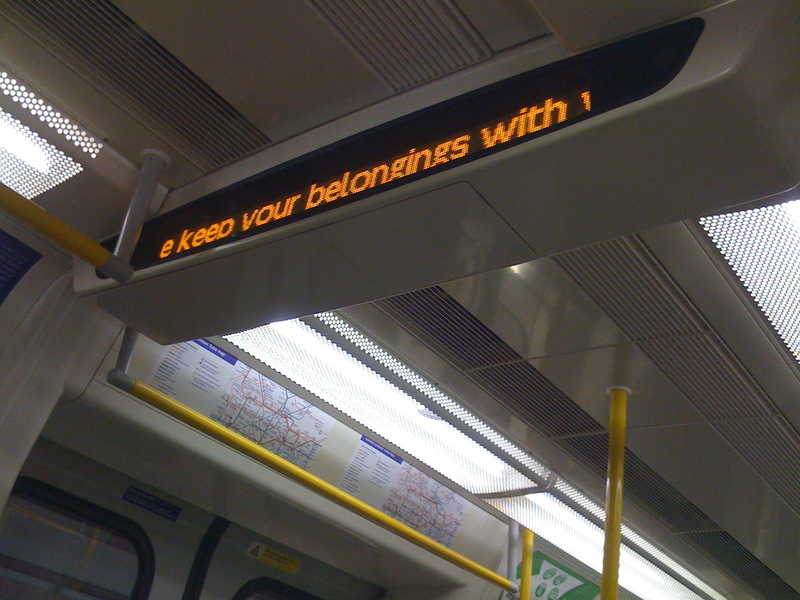 You may have noticed recently that a lot of my blog entries have been heavily focussed on London Underground and Overground. If you have been really urging for a different subject, I am so sorry. I will change the subject very soon. But this is another railway entry! On Monday evening, I decided to check out the exhibition about the new tube stock that will replace the existing stock on the Circle, District, Hammersmith & City and Metropolitan lines. 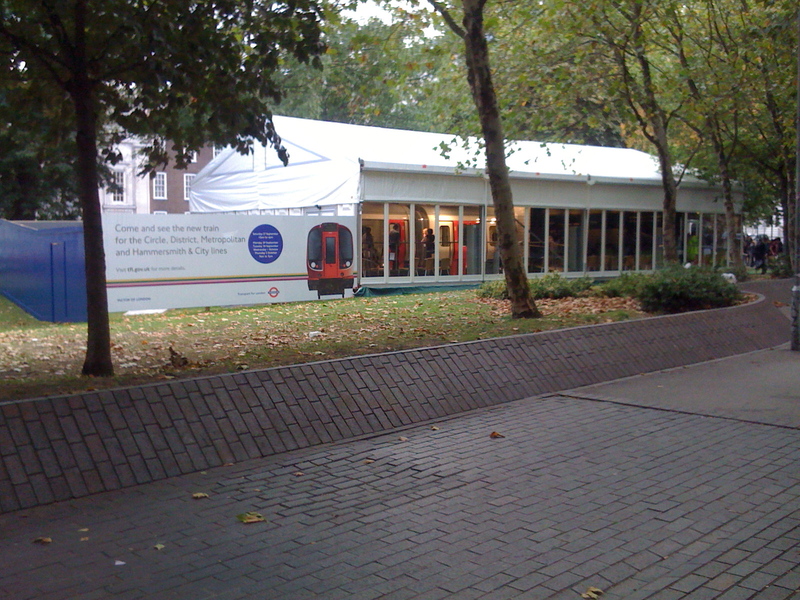 The exhibition was held at Euston Square Gardens. At the present time, the Circle and Hammersmith & City lines are using the C69 and C77 stock (these are the names of the train stock), the District line are using the D78 stock and the Metropolitan line are using the A60 stock, the oldest of the lot running for almost 50 years! All these stocks will gradually be replaced with one tube stock called the S Stock (S for Subsurface). So what is new about these trains? 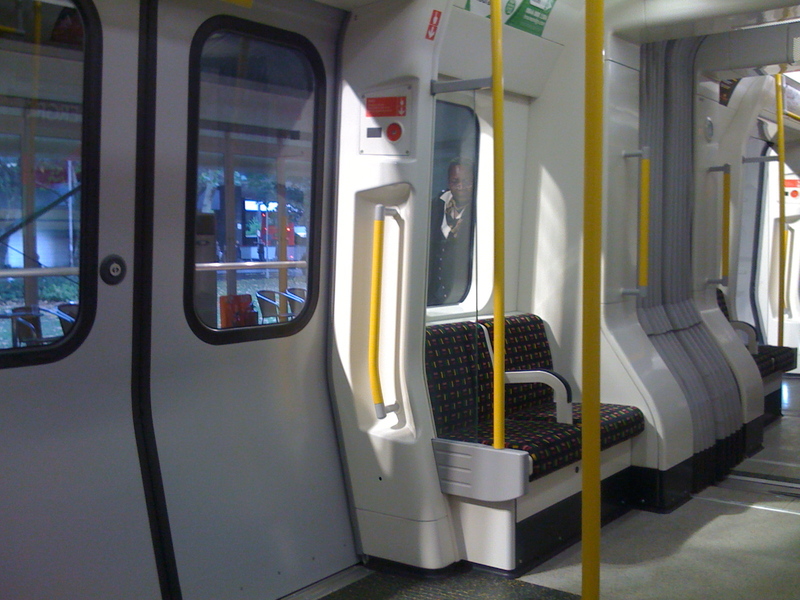 Well firstly, the new S Stock will feature more space with wider doors and walkways, larger windows and walkthrough carriages allowing you to travel along the whole length of the train! Secondly, there will be support for wheelchair users, lower floors allowing step free access between the train and platform, space for pushchairs and luggage and colour contrasting features for the visually impaired. Thirdly, the best feature of all is air conditioning! This is fantastic news! Cooler trains helped by the fact that the tunnels on these lines are large. In addition, better security. A very nice train indeed! There will be a total of 191 S Stock trains which will run on the sub surface lines. But when will they come into service? 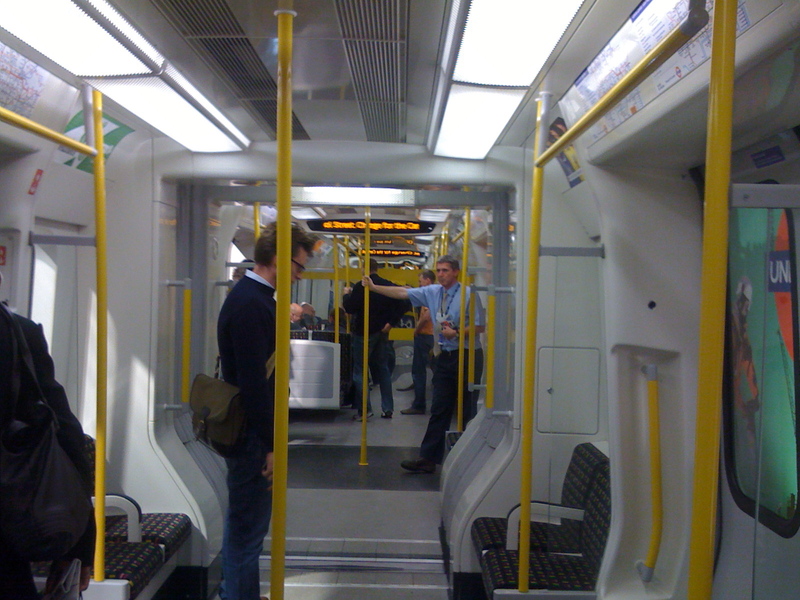 Well we expect to see the first S Stock trains appear on the Metropolitan line in 2010, followed by the Circle and Hammersmith & City lines in 2011 and finally appearing on the District line from 2013. 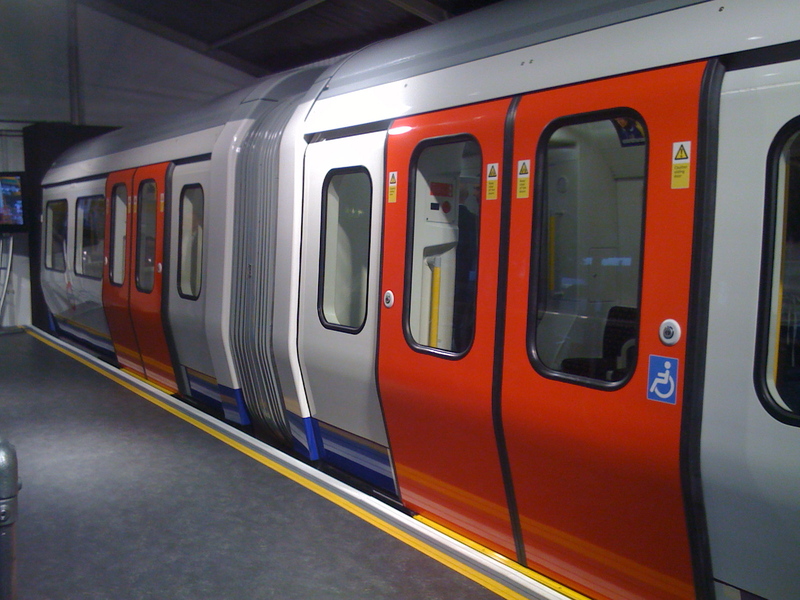 It is predicted that the entire S Stock will be in fully service by 2015. That does mean a huge amount of old stock to get rid off! 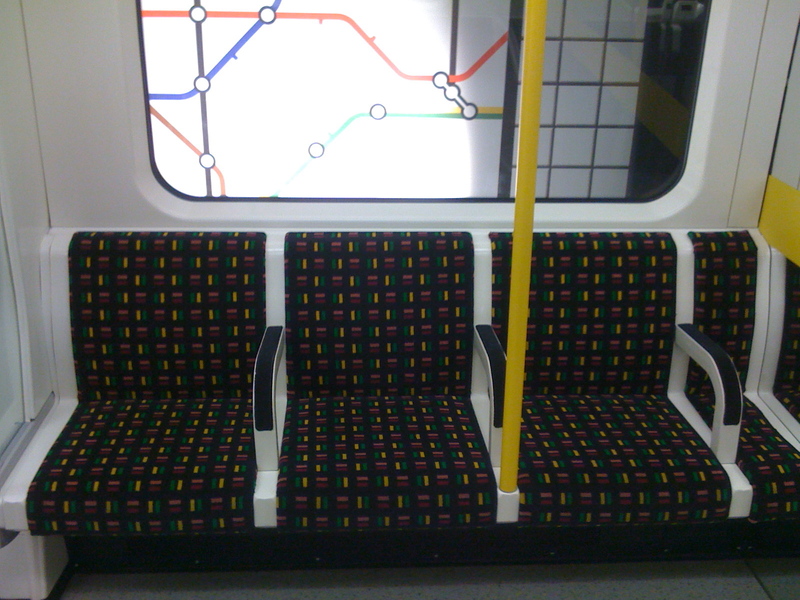 I do like the A60 stock on the Metropolitan line and the seating, that will be sadly missed once it is all gone, but it is only for the better! What do you think of the new S Stock? Let me know! 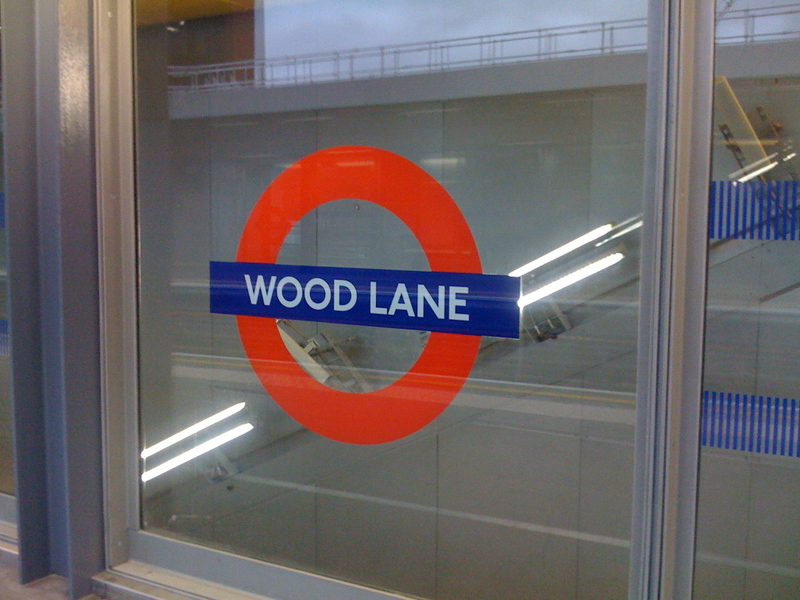 After yesterday’s blogs about the exciting progress works at Shepherd’s Bush, I neglected to mention much about Wood Lane station. 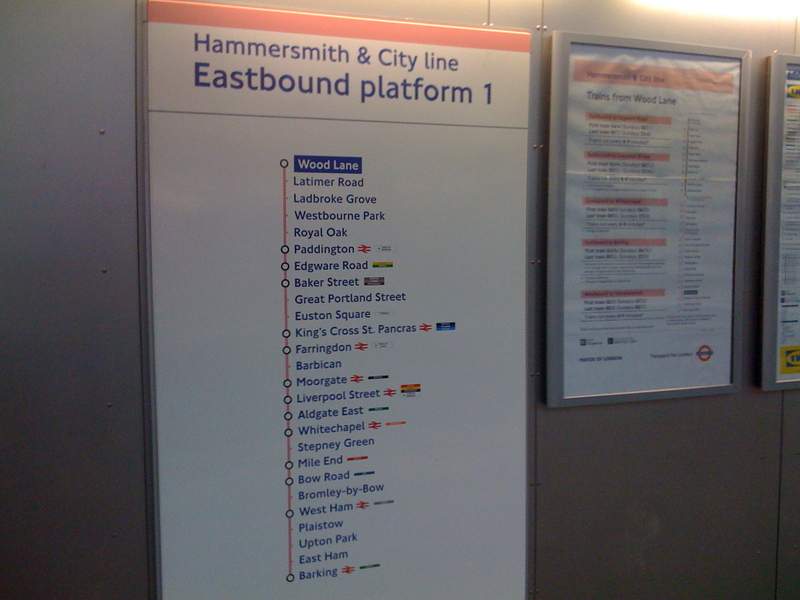 I haven’t got a good shot of the station, but I did take a roundel sign on a passing Hammersmith & City line train whilst moving slowly. 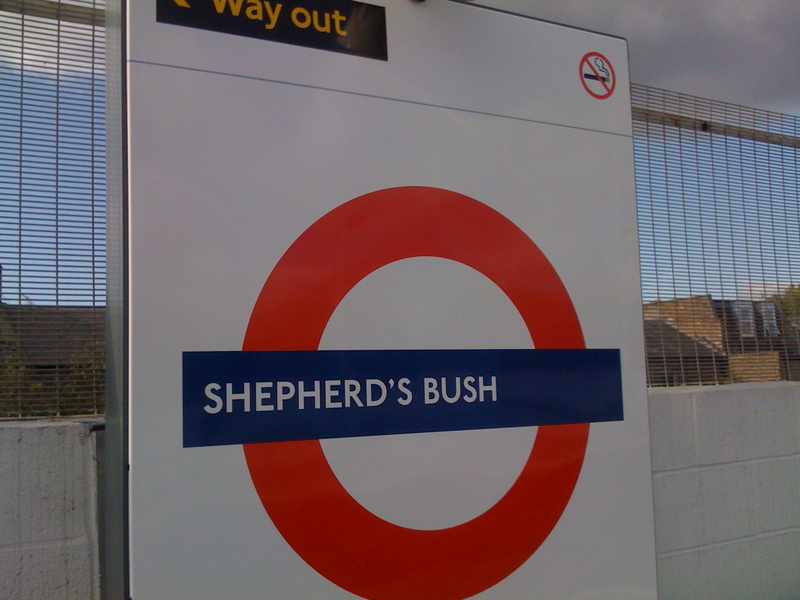 This is a brand new station situated between Shepherd’s Bush Market (currently named ‘Shepherd’s Bush’) and Latimer Road. It will have complete step free access from street level to platform with lifts installed but also will not feature a ticket office at all. Also, I couldn’t help but notice the new line diagram on the train that had been exposed to show the new change taking place. But isn’t Wood Lane a step free access station??? Hmmm, they may have forgotten about that! A few other bits of information, there are reports that Wood Lane is rumoured to open on 12th October. 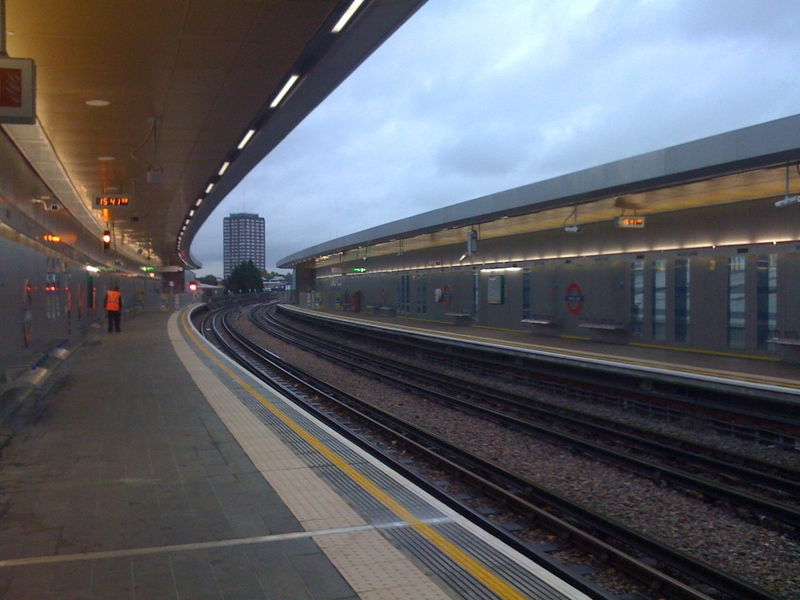 In addition to this, Wood Lane station is about 250 metres from White City station. So why couldn’t the two stations get a direct interchange rather than walk at street level? Could it be that the station would not be entirely step free? A possibility indeed! 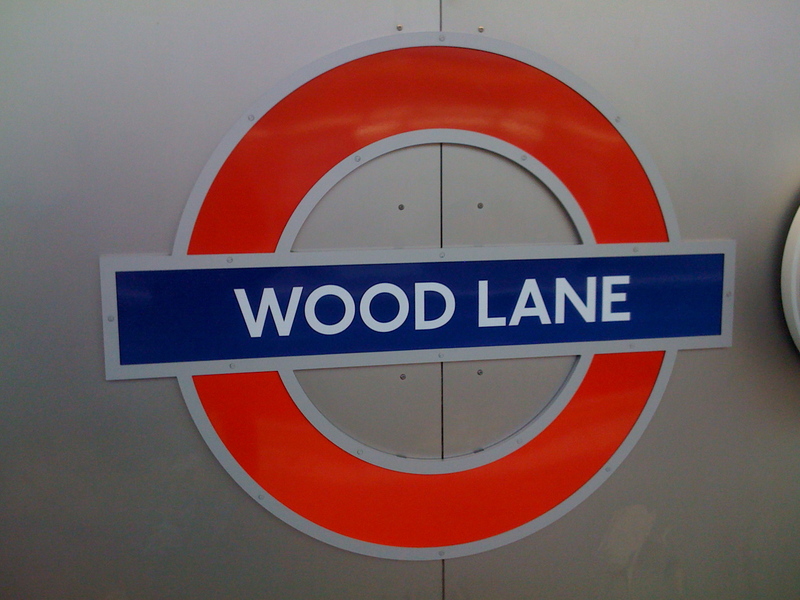 What do you think of Wood Lane? Let me know! 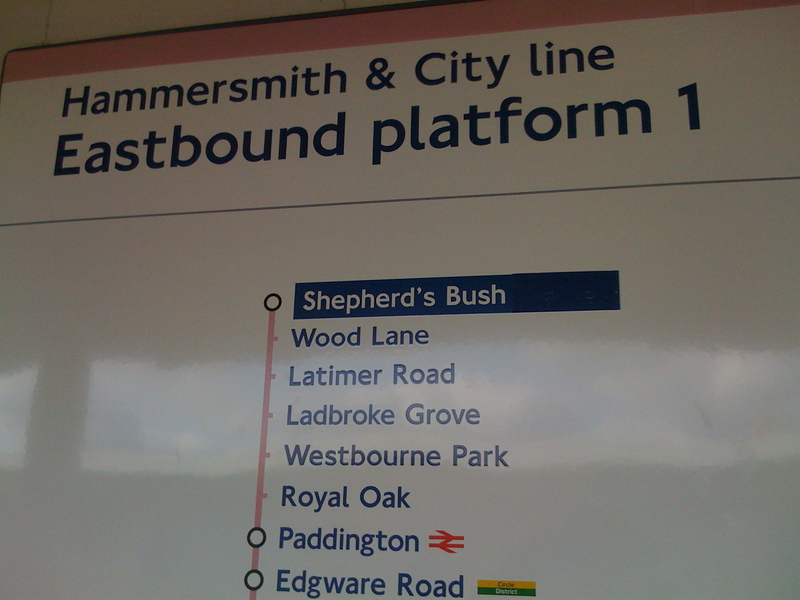 In the final series of Shepherd’s Bush blog entries, here is what is happening at the current Shepherd’s Bush (Hammersmith & City) line station. 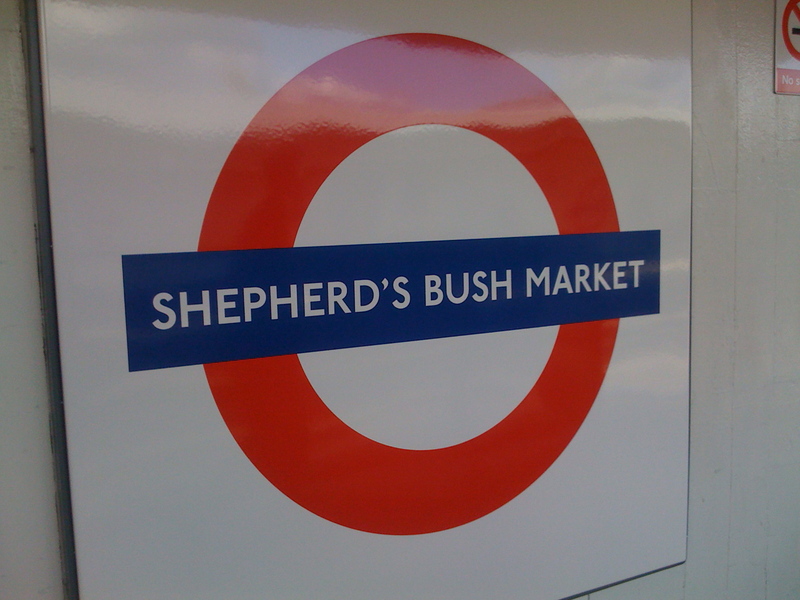 Already, they have put up the new station name, Shepherd’s Bush Market, except the ‘Market’ bit has been covered up! 2. 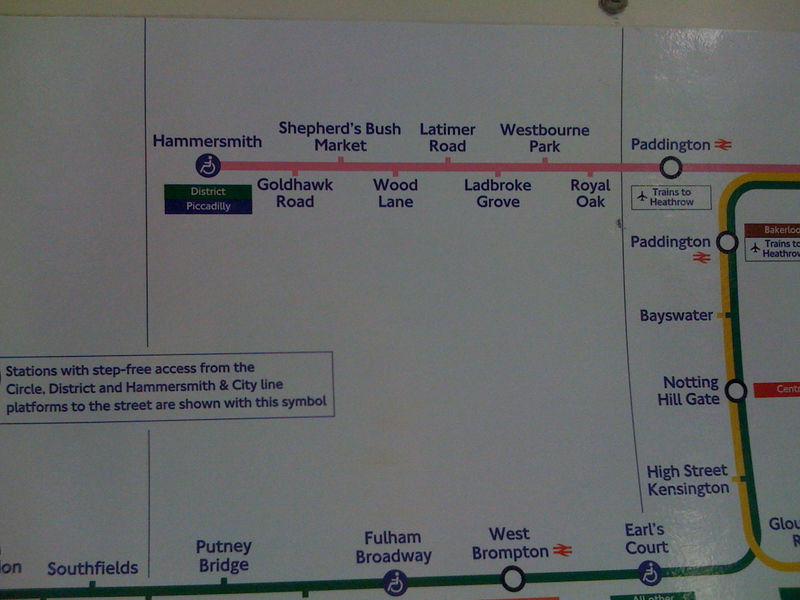 The line diagram with the new name covered and Wood Lane included! 4. And the one that got away! 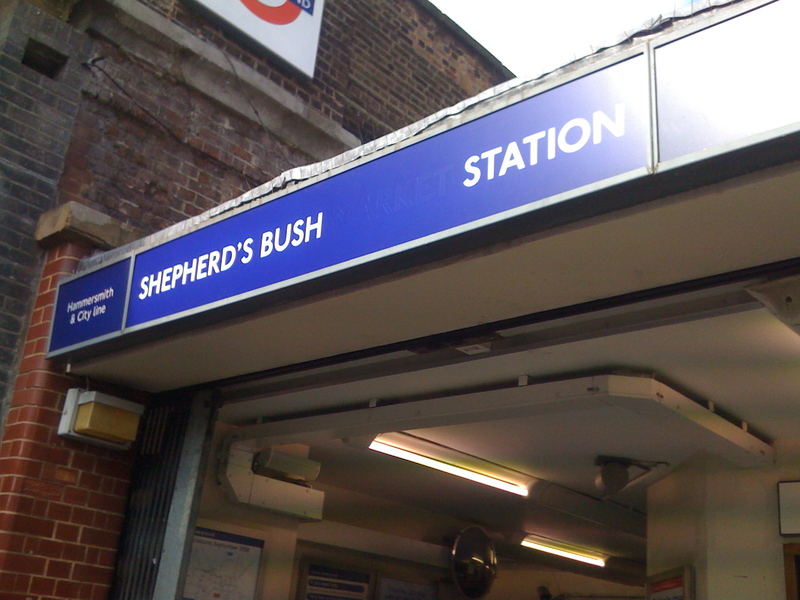 This is what the new signs will look like when the station is renamed! With Wood Lane rumoured to open on 12th October, this is the likely date of the rename. What do you think of the changes? Do you like the rename? Let me know!